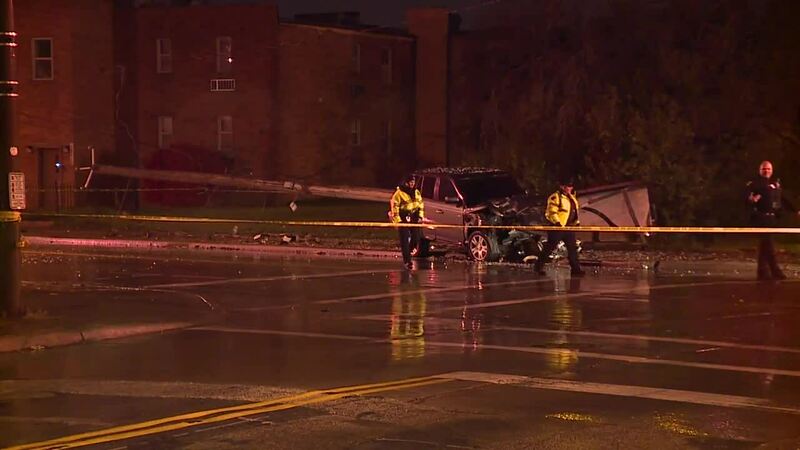 A man has been hospitalized following a crash early Tuesday on the city's east side. EMS responded to Kinsman Road and East 130th Street for a Range Rover that crashed into a pole. A 29-year-old man was taken to University Hospitals Cleveland Medical Center in stable condition. An initial investigation revealed that the SUV crashed into a pole, a cement trash can and an RTA bus shelter. The pole was left hanging in the air. Authorities closed off a portion of Kinsman Road from East 134th Street to East 128th Street. No further information was released.